Located in front of each ear, connecting the lower jaw to the skull are the temporomandibular joints (TMJ). They are the most complicated joints in the human body, allowing the lower jaw to open, close, slide and rotate. The TMJs are used to help us chew, swallow, yawn, smile, laugh, eat and speak, and they move an estimated 5,000 times a day. Temporomandibular Joint Dysfunction or syndrome occurs if either of the TMJs is misaligned or malfunctions. This can lead to abnormal wear and tear, irritation, inflammation, and it may eventually cause arthritis within the joint itself. Symptoms of TMJ dysfunction can appear suddenly after a trauma or they may take years to develop. Symptoms can include toothaches; facial and/or neck pain; headaches; clicking or popping of the jaw; pain while chewing or at rest; locking of the jaw; earaches; ringing in the ears (tinnitis); or feelings of clogged or “stuffy” ears. One of the primary causes of TMJ pain and disorders is damage to the joint itself from direct or indirect trauma such as motor vehicle accidents, sports injuries and dental work. Even subtle repeated traumas like clenching the teeth, excessive gum chewing and nail biting can cause TMJ pain. However, besides direct impact to the joint, trauma to the upper neck and nervous system also can cause TMJ pain but is often overlooked as the culprit. 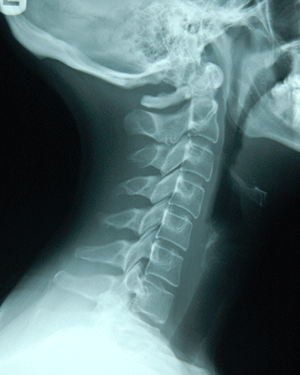 Trauma to the upper neck that results in a misalignment of the top two vertebrae can create pressure or irritation on nerves, specifically the trigeminal nerve, which plays a vital role in controlling muscles in the jaw, face, tongue, sinus, palate, eyes, teeth and lips. This pressure can cause the muscles that control the jaw to malfunction, thereby changing the movement of the TMJ. Upper cervical care can be used to treat TMJ by ensuring that the trigeminal nerve is free of irritation. The top vertebrae will be carefully aligned to maximize the ability for the nervous system to communicate with muscles so that everything functions properly.